We are engaged in manufacturing a range of smith machines, that are widely used in various gymnasiums and fitness centers. 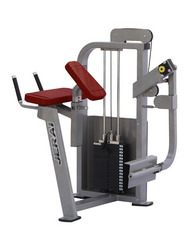 Designed with precision, these smith machines are ideal for proper chest formation and shape. 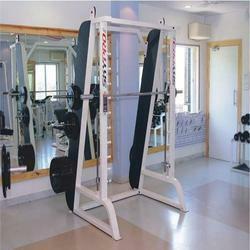 Moreover, our range of smith machines are highly flexible, durable and are provided with variable adjustments. Being a leader in the industry, we are engaged in trading a premium quality array of Seated Calf Machine. With the backing of our skillful executives, we are indulged in offering a comprehensive Seated Calf Machine. We have gained a outstanding position in the industry by providing a qualitative collection of Standing Calf Machine. In addition to this, this calf machine is provided at within your means price.